Are you a teen living in the Chicago area — or do you know one? 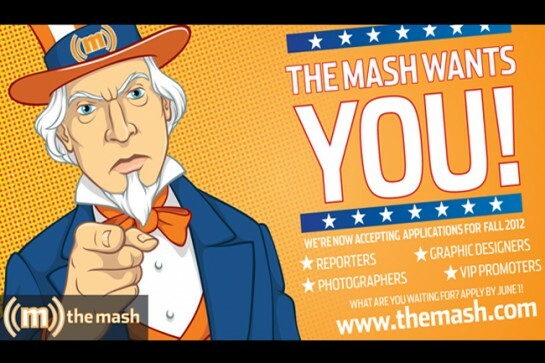 If so, you’ve got to check out The Mash, an innovative print and online news organization that’s recruiting student journalists for the 2012-13 school year. If you’re interested in pursuing a career in the news business, you shouldn’t miss this. Students chosen to serve as reporters, photographers, graphic designers and promoters will get a chance to work with professional journalists at the Chicago Tribune. (The Tribune Co. owns The Mash.) They may even find themselves contacting me! That’s because I write a weekly advice column and sometimes speak with students who are working on stories about mental health and building great relationships. If you represent a company that’s looking to sponsor something great for kids, I hope you’ll seriously consider directing that support to The Mash, which distributes 100,000 copies of its weekly newspaper to schools in Chicago and select suburbs. Given how much good I have seen The Mash do for the kids who write for it and the kids who read it, I’m rooting for this publication to expand its reach nationally. Your generous support could help make that happen.